Join bestselling author and CEO Robin Koval for a discussion of her national best-seller, "Grit to Great – How Perseverance, Passion, and Pluck Take You From Ordinary To Extraordinary.” Robin will discuss how grit has been the secret ingredient in her own career success--and in the careers of so many others. Based on a growing body of knowledge she’ll dispel the conventional wisdom that success is tied to IQ, talent, where you went to school or how wealthy you are. 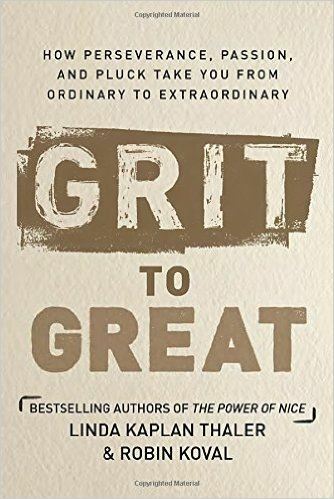 In fact, more than any of those factors, new research shows that the single biggest predictor of future achievement is the character trait of grit - a combination of guts, resilience, initiative and tenacity. Robin herself is an example of grit –she grew up in the Bronx with no special advantages or privileges and rose up through her own hard work and relentless drive to succeed as an entrepreneur and leader in two highly competitive professions. 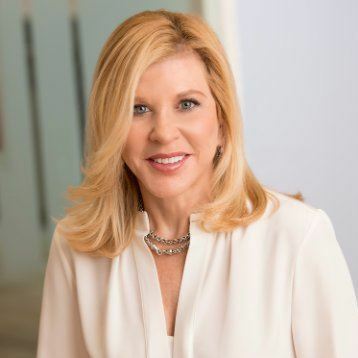 As one of the founders of advertising agency the Kaplan Thaler Group, Robin grew that company from a fledgling start-up to one of the largest agencies in New York. Her clients included Procter & Gamble, Wendy’s, Continental Airlines and Aflac (yes, the Duck!). Today, Robin is CEO and President of Truth Initiative a billion dollar non-profit and the nation’s largest devoted to youth tobacco prevention. Robin will share stories and the latest research on grit, reveal the strategies that helped her, and countless others, succeed at the highest levels in their careers and professions, and in their personal lives. Come prepared to share your own Grit to Great experiences. We will all leave with renewed enthusiasm to take on life’s challenges, appreciating life's rewards, and be better prepared as leaders, and perhaps as parents too, to help those we touch be encouraged to higher degrees of success.